De Vere Wotton House in Surrey, part of the Principal Hotel Company, is undergoing a £6m renovation. The programme, which is part of a wider £50 million investment project in the De Vere country estate hotels portfolio, will be complete by next summer. The 17th Century De Vere Wotton House, which is set in 12 acres of gardens, has completed all of its bedroom renovations, and has seen 16 new junior suites added to its inventory, all of which are located in the mansion house, bringing the total number of bedrooms to 127. The transformation has included a full restoration of Wotton’s principal event space, The Evelyn Suite. The hotel’s restaurant is also undergoing a full refurbishment, as well as the reception and public areas, and is due to be complete by the end of 2016, along with the hotel’s bar which is also undergoing a refresh. 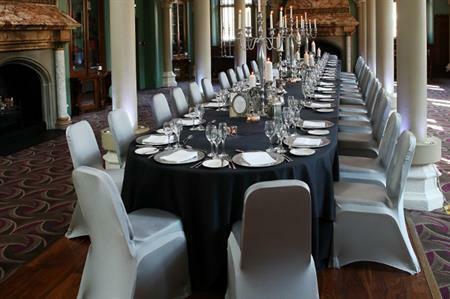 Caroline Morrone, general manager at Wotton House, said: "As a popular venue for the meetings, conferences and private events market, the renovation project has been planned and designed to appeal to all our customers and provide a contemporary standout venue in stunning surroundings which pays homage to its history and heritage as a listed architectural building."